Today marks the 45th anniversary of Toronto, Canada’s, original Caribbean festival, started in 1967 by a handful of energetic Trinidadians who had settled in the city. What began as a simple parade of a few hundred on McCaul Street evolved into a massive day-long Jump-Up attracting a million-plus people, where the line between spectator and participant was often invisible – crowds following Charlie’s Roots, Catelli All-Stars or Toronto’s own AfroPan steel orchestra all along the parade route – holding up ‘streetcars’(trams) and causing traffic snarls on the Saturday of the Simcoe Day long weekend. 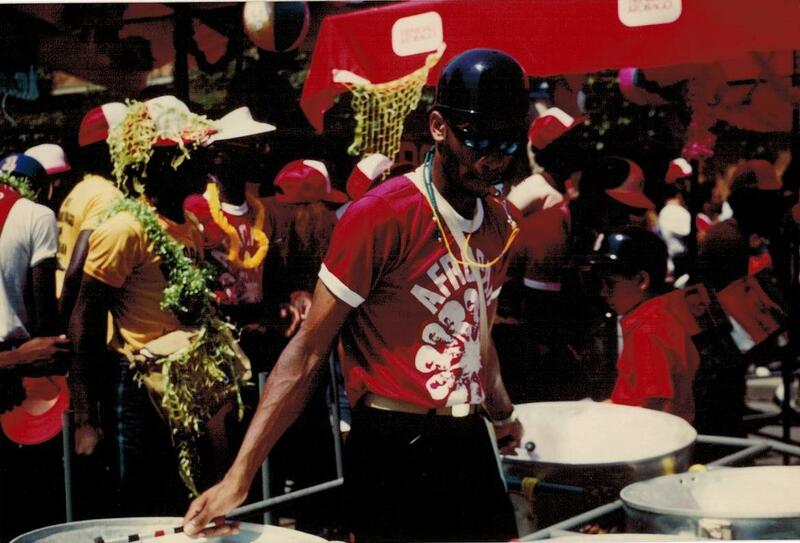 Brass bands on flatbed trucks playing whichever year’s Road March or Calypso/Soca Top Ten, interspersed with costumed revellers “playing mas”, commenced at Queen’s Park, headed south down University Avenue, under the York Street railway bridge and dispersed at Queen’s Quay and the ferry dock on Lake Ontario – the party then continuing with a picnic and live music on Olympic Island. 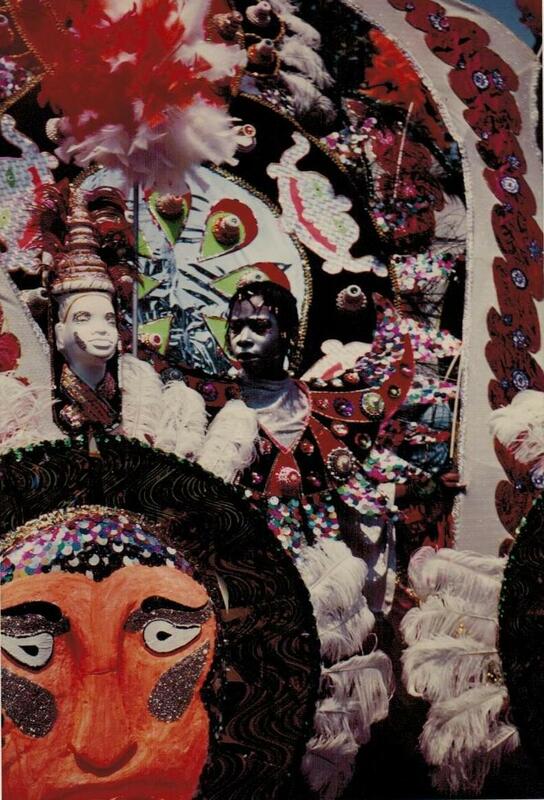 Caribana was Toronto’s single biggest cultural event throughout much of the 1980s and up until the mid-1990s when The Jump-Up finally had some real summer competition: The Gay Pride Parade, The Beaches Jazz Festival, and Taste of the Danforth. But it was Trinis who brought FUN to this city’s streets FIRST. Today, Saturday August 4th, the 2012 Jump-Up is winding its way along Lakeshore Boulevard under sunshine and 30 degree Celsius heat – perfect weather for “playing mas”! ( Give praise, give praise, Children, yeah! 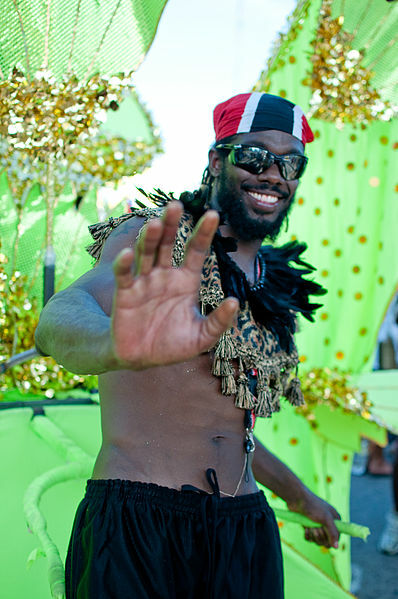 Eh eh eh eh eh eh ah feeling irie…..
Bacchanal – old-time word, still in use, meaning: festivities, good times, mayhem! wine – verb: to move sensuously, and it’s all in the waist!